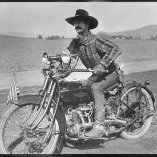 Interests:Camping, Cowboy Shooting, Harleys, guitars and cigars. Anyone stayed at Hidden Valley RV park while shooting at EOT. I reserved a spot for the week but have seen some bad reviews and specifically that the campers are too close together. I am thinking of switching to the KOA in Albuquerque. Any advice? We’ve stayed there in the past, and more recently used it to empty tanks and refill fresh water. It’s a pretty standard RV park with close rows of campers, and last time I was there it didn’t seem to be maintained as well as in the past, but it is also a fraction of the commute from Albuquerque. If recent reviews are OK as far as services and such, it would save you a lot of highway time. I have camped there. The site is terraced and there was enough room for my slide-out. Sometimes the water or power goes out so keep your fresh water tank full. Camping at the KOA in ABQ will double your commuting time to FR. Further, the ABQ neighborhood has security problems. I know, I once owned a home in that zip code. For $125 for the week of EOT I would stay at Hidden Valley. That's where I will camp. BTW, there is a hairpin turn going into Hidden Valley. Make sure your RV can make the corner. The end of the trial is over.....they found El Chapo guilty on all accounts. Sorry I had too...….. I've stayed there 3 times. I preferred staying there in my trailer to any of the trips when I stayed in a Moriarity motel. (GASP!) On my last stay the RV park did seem to be going down hill a bit, and yes... it can be a bit tricky to maneuver in and out of. I gave up trying to stay at the Ranch. The two times that I tried to camp out there I pulled my 5th wheel out there only to find that it was a giant mud hole each time, so I ended up going back to Hidden Valley. I wouldn't want to drive from ABQ every day. Staying anywhere other than at the ranch makes it more difficult to participate in the after match activities, so if you plan to attend these functions and you imbibe, you might consider a spot at the Ranch. Originally they said that they were going to eventually have "Hook-ups", but don't hold your breath. You might try to find someone with one of those $10,000 spots you could buy. Ah, hahaha. Caught that too. CJ is one sharp feller! If I were to drag my trailer out there I’d stay at the ranch. Mud really hasn’t been a problem there since they moved EOT to the June dates. You may get a little rain but the mud doesn’t last long once the sun comes out. There is a water tank filling and septic tank dumping service that you can sign up for. There is a lot of evening activity at the ranch and camping with a whole bunch of your pards there at the ranch really adds to the enjoyment of the entire event, IMO, of course. I’m bringing my grandson to his first EOT this year and we’re staying at the new Comfort Inn in Edgewood so he can use the pool in the evening. 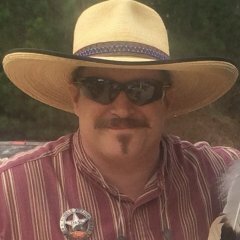 If I ever Go to End Of trail ,,,, I'm going to Hire Out as a designated driver for those that need a ride with a sober Pard .... from the range to the RV park do Ya think I would have Any takers ??? You’d be a busy man. I’ve camped at the range for the last five years. Was thinking about the rv park in Edgewood. Anyone know the distance from the range( have a motor home not trailer)? Google says it is about 10 miles (not using Barton Road). That seems about right. The RV park in Edgewood is closer to FR - and the freeway, but is easy for a motorhome to enter. So there's more than one in Edgewood? Looking for closeness to Founders Ranch.Would have to figure out transportation to and from? Wasn't even considering Abq. I am only aware of the Rt. 66 RV Park in Edgewood. It is the closest RV Park to FR. Hidden Valley near Tijeras (mentioned in this thread) is also close and there are also RV parks in Moriarty and Cedar Crest. If you lack transportation camping at FR is a good option. The first eight rows in the FR campground are graveled and you probably wouldn't get stuck in the mud in case of rain if you parked in these rows. One year before I had a four wheel drive tow vehicle I had trouble getting off the ranch when I wasn't parked on gravel. Ninety Caliber, I strongly recommend camping at the ranch if you can handle dry camping. As Ed said there is water and sewer service available. The first 2 rows and most of row 3 are reserved for founders Club members but sometimes you can get into row 3. Rows 4-12 are open to anyone, and there is a shuttle from the camping area to the range. It is only a few hundred yards though so most just walk. Junky, I was tempted, but I had too much couth!! My wife won't dry camp unless no other option.